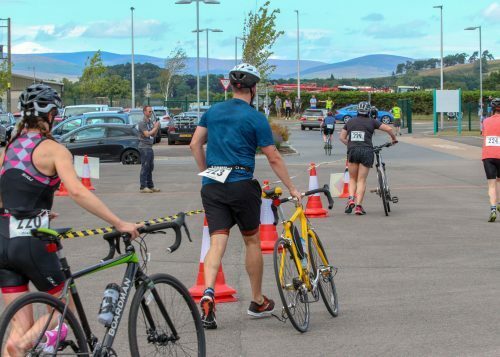 23 July 2018: The sun shone on the first Forfar Triathlon organised by social enterprise Tri Angus on Sunday (22 July), offering participants of all abilities a great sporting challenge in a fantastic setting. The event has received tremendous support from several local businesses including Scotmid, Strathmore Water, Thrums Vet Group, AM Phillip, Glenford, Sattva Wellness, Angus Bike Chain, HPV Coaching and Cycling, Harbro, Ferngreen Garden Centre, Tayside Mountain Rescue and Carnoustie Creative, not to mention the local community. 240 people signed up to take part in the event which sold out within 10 days of opening entries in January. In addition to this over 100 people added themselves to the waiting list. 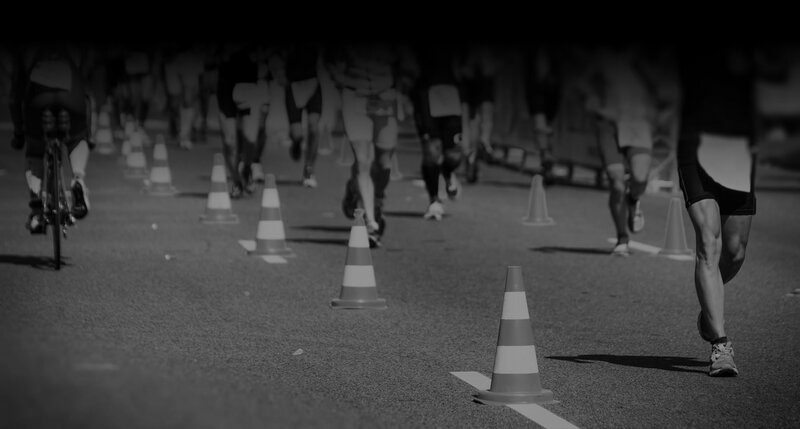 A Team of 55 volunteers were recruited from the local community to help keep everyone safe in each of the swim, bike and run disciplines of the triathlon. 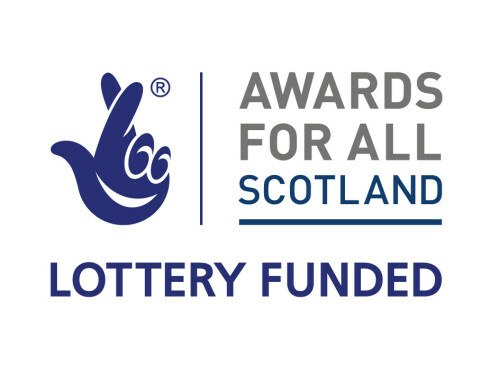 The event was based at Forfar Community Campus, where the swimmers either swam 750m (30 lengths) or 400m (16 lengths) depending on whether they have entered the Sprint or Novice distances. The bike section was then 20km long for the Sprint participants, 11km for those entered into the Novice race, with all participants completing a 5km run. The men’s Sprint event was won by local lad Gary Milne (26, Forfar) who came home in an overall time of 1:10:38. Hot on his heels were Fleet Feet Triathlon Club’s Ronan Anderson (38, Fettercairn) who finished in second place, and Spencer Holmes (42, Blackburn, Aberdeenshire) who finished in third place. In the ladies Sprint event the podium was dominated by locals. The event was won by Pentland Triathlon Club’s Gillian Hislop (42, Edinburgh) in a time of 1:15:16. Second place went to Forfar’s Angela Bell (30, Forfar) with Jane Luckhurst (40, Forfar), also Forfar, finishing in third place. In the men’s Novice distance Craig Bell (53, Forfar) won the race in an overall time of 52:38, with Euan Reilly (28, Edinburgh) finishing in second place and Mark McIntosh (33, Lunanhead, Forfar) claiming third place. 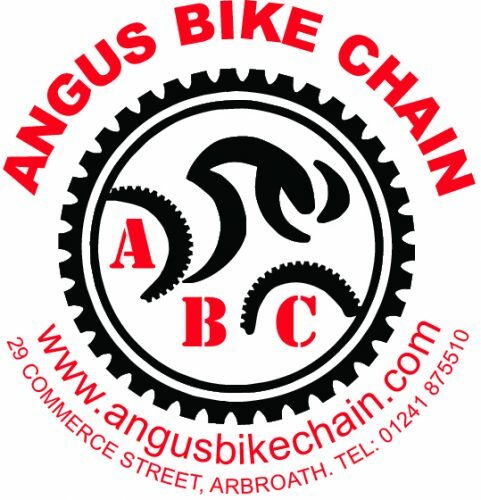 In the Ladies event, it was a clean sweep of the podium for Angus residents. 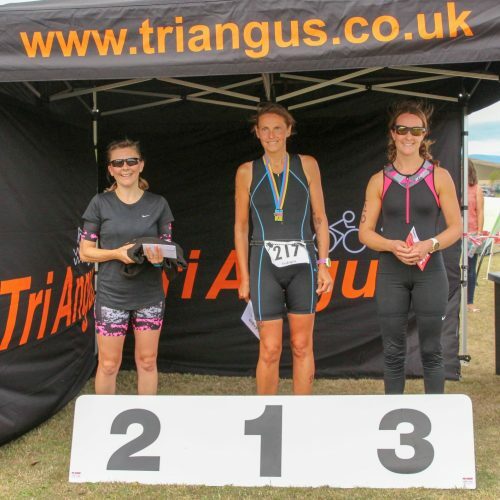 Montrose Triathlon Club’s Elaine Banks (46, Montrose) upgraded her second place finish from the Montrose Triathlon to a first place at the Forfar Triathlon, finishing the event in a very impressive time of 57:54. Clare Cooper (40, Forfar) was close behind her in second place with Julie Smith (41, Tannadice, Forfar) in third place. Event organiser Maggie Lawrie was delighted with the day. “This was our first event in Forfar and I’m really pleased with how the event has been received. 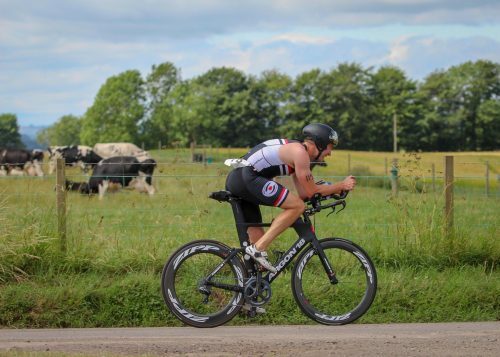 We have had some fantastic feedback from the participants and volunteers so it looks like this is going to have to be a regular fixture on the triathlon calendar!